as the project I embarked upon was a little large for a single post. but recent earthquakes we’ve been having have changed that. Now we endure very unstable power. prompted me to get my A into G on this project. For a while now I’ve been looking into setting up a UPS solution to support my critical servers. Both of which were a bit small to support a fairly hungry hypervisor, dedicated file server, 24 port Cisco catalyst switch and a home made router. Also the FreeNAS (BSD ) driver for USB that was supposed to work with the 5110, didn’t seem to. In considering the above; I had a couple of options. but to any number of machines. What I wanted was a single UPS plugged into a single box that would receive on battery events and do the work of shutting down the various machines listed (any type of machine, including virtual hosts and guests). There didn’t appear to be a single piece of software that would do this, so I wrote it. I’ll go over this in a latter post. So I would need either a network connected USB hub. As explained here. Hardware solutions and all work well from VM guests from what I’ve read. 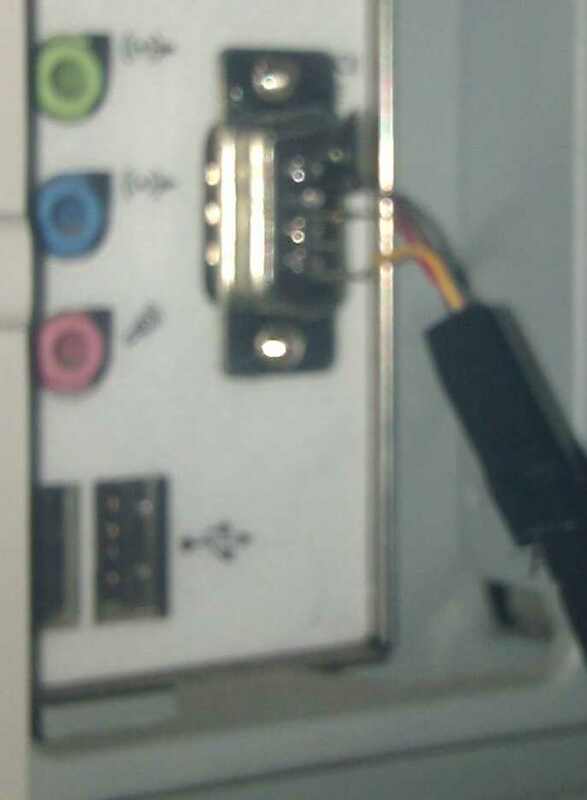 Software solutions, Need physical PC that has USB device/s plugged in. Powerware 5110 doesn’t support a network management card, so only option I see for this UPS is a network connected USB hub. 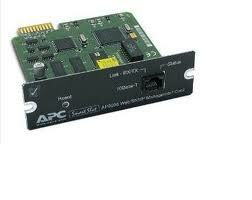 APC SMART-UPS supports network management cards and I think these would be the best option for this UPS. 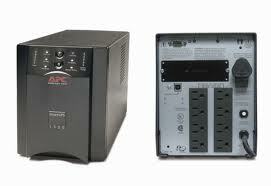 It was starting to look like an APC UPS would be the better option. I had already been looking for one of these for quite a while, and I missed a couple of them. $200 + shipping = just under $300. AP9606 NMC $50 + shipping = aprx $80. I still had a $1300 UPS, NMC not included, for $600. so all up $380 to support a bunch of hardware. You’ll need to give the card an IPv4 address that suites your subnet. I decided to go the Ethernet route. I would need the MAC address. The subnet mask and default gateway also need to be set up. 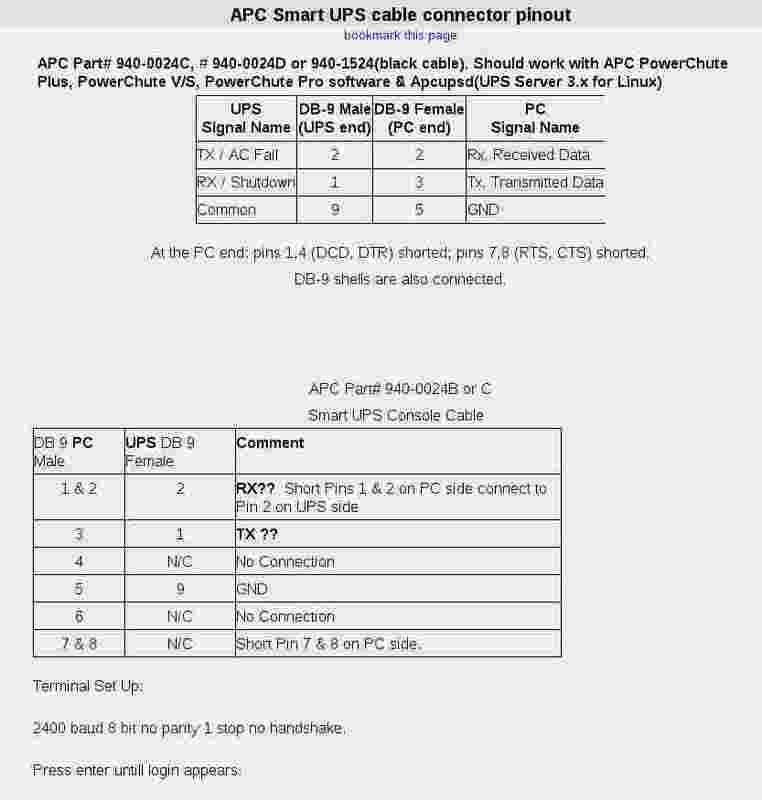 Pg 11 of APC_ap9606_installation_guide.pdf goes through the procedure. 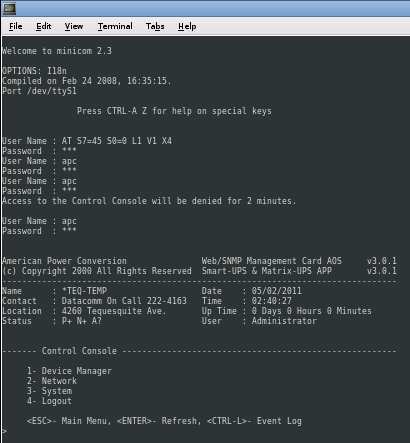 Although my network management card had a sticker with the MAC address on it. which indicates an APC address. In addition, check the card you are trying to configure. Any card with valid IP settings will have a solid green status LED”. When I received my AP9606 Web SNMP Management Card, I didn’t have a clue what the IP address had been set to. It goes through setting up an IP from scratch using ARP. So I plugged my notebook into the AP9606’s Ethernet port and spun up Wireshark. "American_[last 3 bytes of MAC]"
The first 3 bytes of the MAC will always be 00-C0-B7 for a AP9606. You may have to play around a bit with the subnet mask until you get it right. So I tried to telnet in and was prompted for a username and password. The default of apc for both was incorrect so obviously it had already been altered. but this didn’t exist or had been changed. and was directed to here. This is no good unless you have a special serial cable which I didn’t. but don’t know what the pin layout is. The nice fellow at APC support directed me to a cable to buy. for a single use cable. There is no proper way to reset the password by the Ethernet interface. This left me with two obvious options. 2. just crack the credentials with one of these. as I had the software, but not enough parts for a serial cable. THC-Hydra seemed like a good option. memory version mismatch detected - 0x75BE0074/0x75BE0096. This error is due to having incompatible versions of cygwin1.dll on your system. 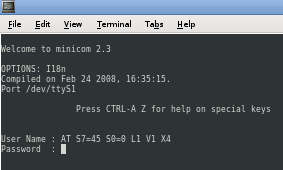 So did a search for them and found that my SSH install had an older version of cygwin1.dll. rebooted, and all was good. the only cygwin1.dll should be in the same directory that hydra.exe is run from. 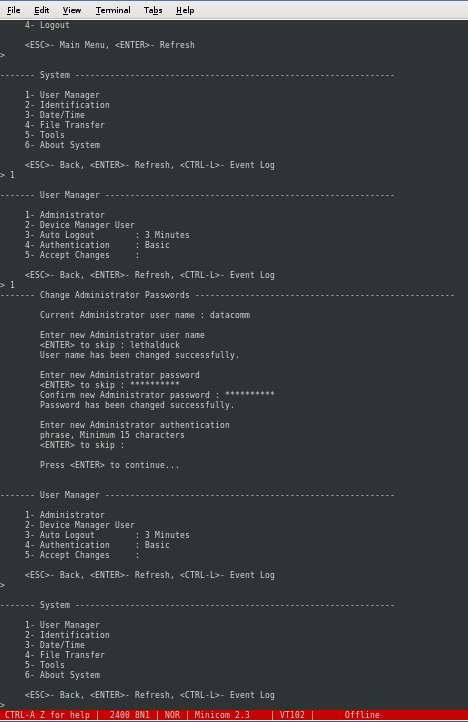 C:\hydra-5.4-win>hydra -L logins.txt -P passwords.txt -e n -e s -o hydraoutput.txt -v 10.1.80.222 telnet "Welcome hacker"
So rather than spend more time on populating the logins.txt and passwords.txt. found this out once I logged on using the serial interface. This is the pinout I used. This is the single use cable I made. Make sure you’re all plugged in. 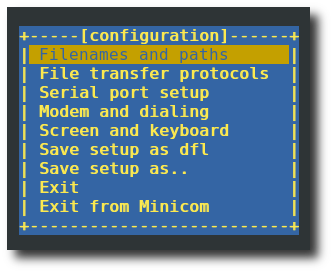 I used minicom as my terminal emulator to connect to the UPS’s com port. Installation and usage details here. You need to make sure you’re serial port/s are on in the BIOS. I didn’t check mine, but they were on. 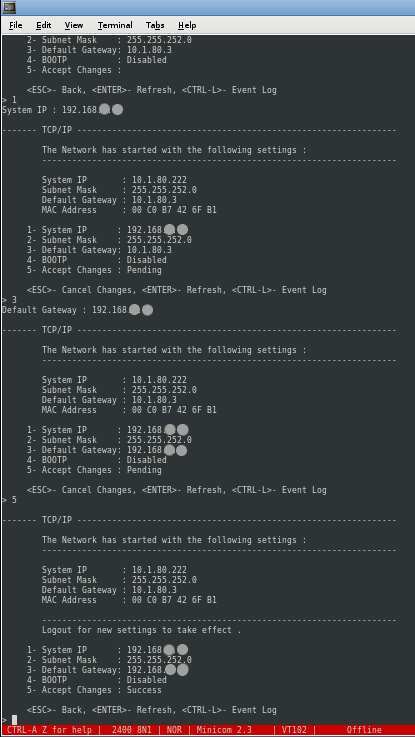 Use setserial to provide the configuration information associated with your serial ports. and you will be presented with a menu like the following. one stop bit and flow control is set to none. You should now be prompted for authentication from the Smart-Ups. Device /dev/ttyS[number of your port here] is locked. You have a 30 second window here to login. Else you have to repeat the reset process and try again. select System, then User Manager. both of which are currently apc. I also changed the IP settings. and change your IP settings. you should just be able to follow your nose from here. You’ll also want to make sure the Web Access is Enabled. Take note of the port also, usually 8000. Changing the password via the serial interface is also detailed here. This post was also quite helpful. Changed the IP settings back to how they were on my notebook. Could now connect via telnet and HTTP. Turned md5 on to try and boost the security of passing credentials to the web UI. Turned out the jre is also needed for this. but the web UI no longer accepted my password. 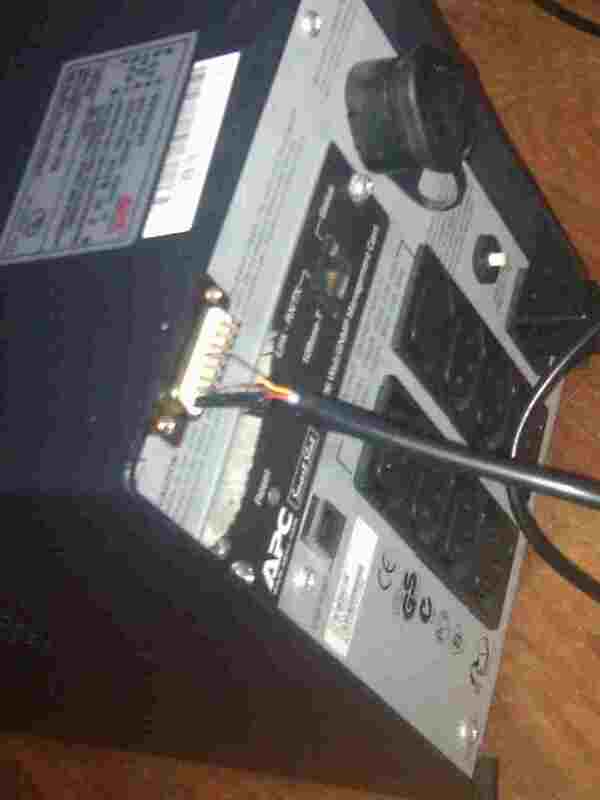 you are going to have to plug your Ethernet cable directly into the AP9606. Otherwise your passing credentials in plan text. The latest firmware is found here. Directions on upgrading are found here. In saying that, APC recommended I use the earlier aos325.bin and sumx326.bin from here if using Windows XP. The firmware version is found under Help->About System on the NMC’s Web interface. Keep reading, if you’d like to know the process I took to acquire the above. Most/all Operating Systems have a hosts file. You can add all the dodgy domains you want blocked, to your hosts file and direct them to localhost. Providing your hosts file is kept up to date. This is one alternative to blocking these domains. On some systems if you add the dodgy sites to your hosts file, you may experience the “waiting for the ad server” problem. As far as your browser is concerned, these URL’s don’t exist (because it’s looking at localhost). Your browser may wait for a timeout for the blocked server. In this case you could use eDexter to serve up a local image instead of waiting for a server timeout. At this time, only OS X and Windows versions are available. JavaDog will apparently run on all platforms that have the Java VM. This doesn’t appear to be in the Debian repositories. At least not the ones I’m using. From my experience it does. I had a quick look at JavaDog for Linux. It can be an administrative pain to keep the hosts file up to date with the additions and removals of domains. Although Linux users could use the script here to do the updating. This could be added to a Cron job in Linux. If your on a windows box you may run into another type of slow down every 25 minutes for 5 minutes with apparently 100% CPU usage resulting in the described DNS cache timeout error. There is a workaround, but I wouldn’t be very happy with it. Disabling the DNS client service. If you rely on Network Discovery (enables you to see other computers on your network and for them to see you), this is not going to be a solution. A better Win7/Vista workaround would be to add two Registry entries to control the amount of time the DNS cache is saved. Make sure you backup the hosts file in case anything goes wrong. Just add the new entries at the bottom of the hosts file. You will then have to flush your DNS cache if you have one. That may be all you need to do. “killall -hup inetd” (without the quotes) which will restart the inetd process and should not require a reboot. as my default Debian Lenny install doesn’t have a DNS cache. as I thought it would be allot easier and less (zero) administrative overhead. Just make sure you’ve got a good filter subscription selected. I used EasyList (English). As I was on Lenny. Adblock Plus wasn’t available for Iceweasel (firefox on debian) 3.0.6 unless I installed the later version of Iceweasel from the backports.debian.org repository. I looked in the Tools->Add-ons->Get Add-ons and searched for Adblock Plus. I was planning on performing a re-install of Debian testing soon anyway, but was keen on giving Adblock Plus a try now. Most won’t have to do this, but I’m still on old stable. For later versions of Debian substitute the version specific part with your versions code name. You can see how the directory structure works for the repositories. in dists you will see lenny-backports as a subdirectory. In my case I didn’t have this file, so created it. it will be upgraded from there. Check the apt_preferences man page as usual for in depth details. and a search for Adblock Plus now revealed the plugin. Installed it and selected the EasyList (English) filter subscription. Browsed some sites I knew there were popups and ads I didn’t want and it worked great! So personally I think I’d stick with the add-on (for firefox users that is) going forward, as it seemed like it just worked. Not sure about other browser platforms. I’m also using OpenDNS as name servers. They provide allot of control over what can be accessed by way of domain. 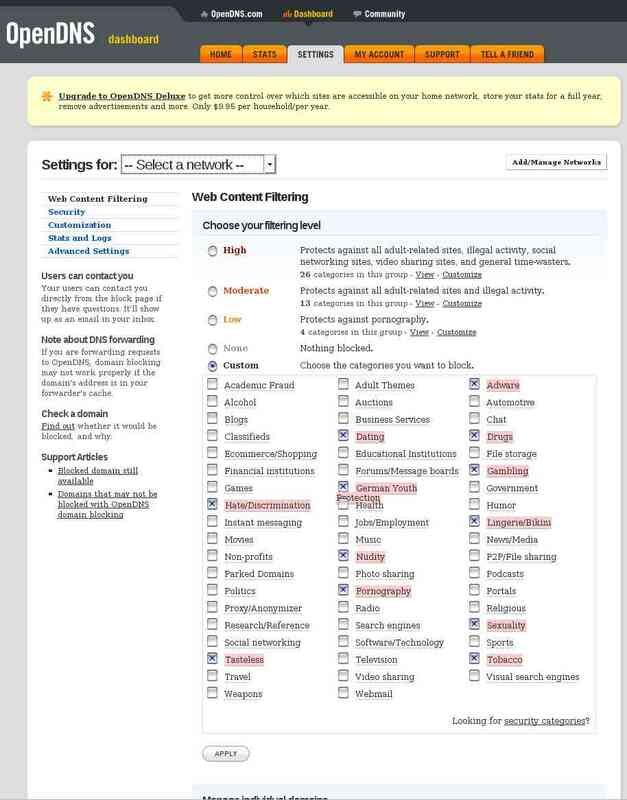 You can also provide custom images and messages to be displayed for requested sites that you don’t want to allow. Statistics of who on your network is accessing which sites and which sites they are attempting to access. and to take care of allot more. There is also a good pod-cast on the hosts file by Xoke here. I setup a free account a short while ago at bitbucket with the intention of creating a version control repository for Hg. So far this has worked out well. Although every time I communicated with the back end repo I’d have to enter my credentials. I realized if I added my user name to the URL, I’d only receive a password prompt. If I also added my password in the URL I wouldn’t be prompted for anything. also especially with my password in plain text on the screen. 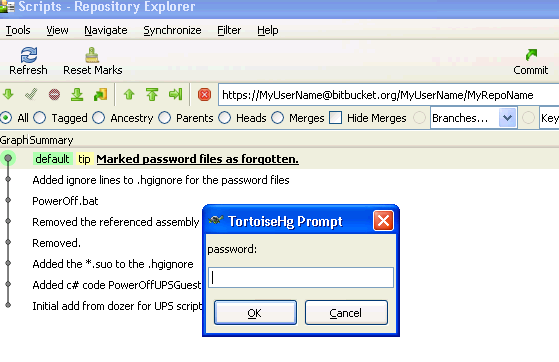 TortoiseHg comes bundled with the keyring extension. So if your using TortoiseHg you don’t even have to install it. Just add the following to your mercurial.ini file in your user directory. You’ll also have to edit your repository specific hgrc file. If this file doesn’t already exist, create it. You could put your password in the above URL too, but that kind of defeats the purpose of using the keyring. So you associate your username with the URL you are wanting to communicate with. Now you can add as many URL’s as you like. As you can see I’ve just added the same one twice, as an experiment to see how it’s handled. the keyring will prompt for your password once and store it encrypted. I’ve been working on a small project that shuts down machines attached by network and of course power feed to an APC Smart-UPS. The code that was shutting down the guests required authentication to be passed to the receiving services. I decided to give the following PowerShell cmdlets a try. Get-Credential prompts for a username and password and creates the PSCredential associating the password with the username. (System.Security.SecureString) into an encrypted standard string (System.String). Then writes the string to the file specified. Then creates the PSCredential based on the username provided and the password as a SecureString. By the look of it, when creating the encrypted password Get-Credential adds some machine specific information. As the password file is not machine agnostic (can’t be shared or tranfered). From my PowerShell script that loaded the assembly into memory and started the shutdown procedure, it looked something like this. # Creates a .net assembly in memory containing the PowerOffUPSGuests class. # Then we call the InitShutdown passing the details of the machines that need to be shutdown. To debug my library code, I needed to run it somehow. So I just wrote a small test which passed the PSCredential instance to the code that was going to shutdown the UPS guest.